NABJ.org - Access to our new online portal, NABJ.org, which allows you to manage your membership profile, access real-time information in the online membership directory, and register for special events. In addition, you are able to track your membership history and product purchases. My Profile - Update your personal contact information to receive the latest member news, events, and the NABJ Journal. My History - Renew or rejoin NABJ, as well as view past registrations and purchases. Upcoming Events - Members and nonmembers can view and register for upcoming events. Member Directory - Connect with other NABJ members. Member Discounts on Convention Registration - Take advantage of a reduced member rate when you register for the NABJ Annual Convention and Career Fair. Visit www.nabj.org for more information. NABJ Media Institute - Enhance your professional and personal development year-round through the NABJ Media Institute. Expand your network within the journalism industry; gather with your colleagues at NABJ Media Institute programs and regional events; participate in online discussion groups; and benefit from the expertise of seasoned media professionals through year-round fellowships and workshops. 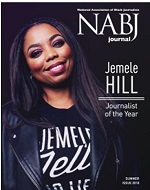 NABJ Journal - Our official publication presents news and addresses issues about NABJ and the media that affect black journalists and the community. The Journal is a quarterly magazine. Our members only Web access provides portal access to the NABJ Journal online. NABJ Career Center - Online job matching service allows members to post resumes and search for jobs listed by participating organizations and companies. NABJ E-News Updates - Receive email updates to keep you current on news about black journalists and the industry; receive special reports that provide insight into media policy and other topics of interest. 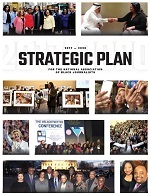 NABJ Awards - Seek recognition of your work via the four major annual awards programs: Salute to Excellence, Special Honors, Hall of Fame, and the Ida B. Wells Award. Scholarship and Internship Opportunities - Recruit and work with aspiring black journalists in high schools and colleges; promote the NABJ Scholarship and Internship Programs; access leadership and mentoring opportunities for black journalists seeking to improve their skills in newsroom management. A Six-Month Membership Extension - Active NABJ members who have lost their jobs due to recent layoffs will be able to extend their membership by six months. This will keep them connected with their peers and continue their discounts on all of NABJ's educational offerings throughout the year. If you have any questions or need immediate assistance, please call at (301) 405-0248 or membership@nabj.org.